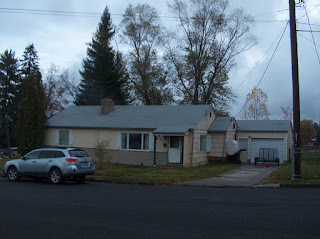 This charming 3 bedroom, 1 ½ bathroom house on the south side of Grangeville, Idaho is for sale. The property comes with a single car garage and is set on a super oversized double lot. The home is on a quiet street located between schools. There is a privacy fence, large backyard and deck. For your convenience, a red country storage barn is located on the property. The hardwood floors are in need of some TLC. Currently, updates to the home are in process. This home is a great opportunity for affordable living. Contact All Around Realty at (208) 983-7878 for more information. Priced at $112,900.